All of us down, and grief drives us even lower. Where they came from is not in vain. Ruled by degree, and judged by law? To set forth wherever they wish. Many poets revise their poems after their initial publication. Usually the purpose is to bring the poem closer to the writer's original intent. 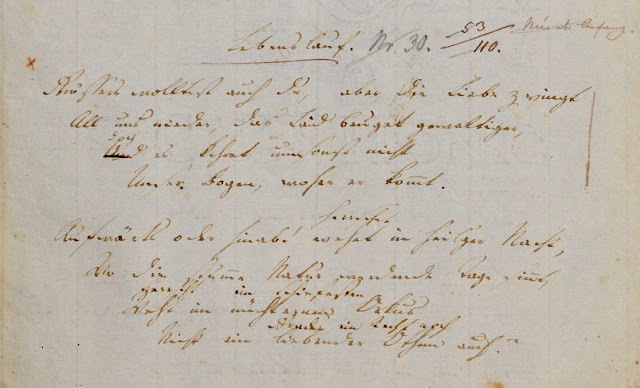 With "Lebenslauf," Friedrich Hölderlin did something unusual: he took a poem about sorrow written two years earlier and rewrote it as a longer poem that expresses a nearly opposite point-of-view. Drawn it lower, and grief weighs it down even more. Through life's arc, back to where I began. The two years between that poem and the longer one were pivotal ones in Hölderlin's life. He left the Gontard household and moved to nearby Homburg, remaining in touch with Susette. In 1799 he published the second volume of his epistolary novel, Hyperion, set against the backdrop of Greece's fight for independence. Paradoxically, the suffering caused by parting with Susette made Hölderlin less self-centered. His previous poetry emphasized life's tragedies; now he wrote with greater freedom, often in a prophetic vein. Rather than lamenting the problems of his existence, he celebrated what he thought life could be, in its highest and most satisfying form. During those two years, as Michael Hamburger has shown, Hölderlin learned from the Greeks how to make his poetry more sensuous and concrete. 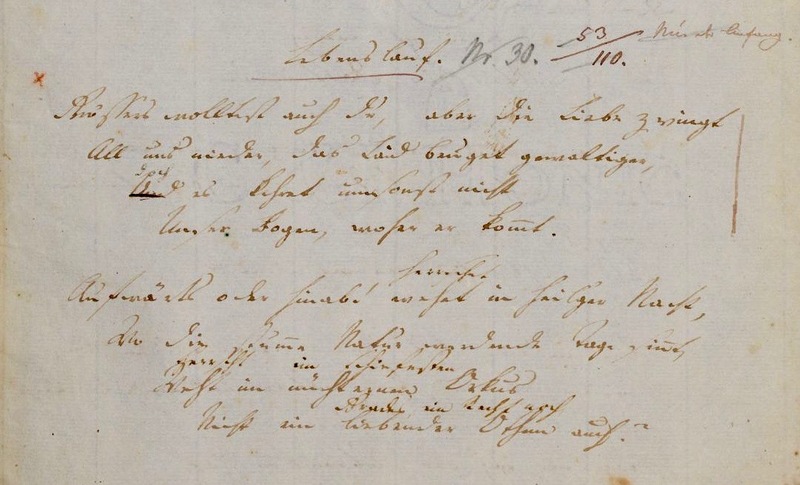 In the case of "Lebenslauf," the quiet resignation of the earlier poem gave way to heroic self-assertion that seeks to speak for his readers, as well as for himself. During the following seven years, Hölderlin wrote "Bread and Wine" and the other extended poems for which he is best known. In 1807, however, he suffered a severe mental collapse. He spent the remaining 36 years living in seclusion, cared for by the family of Ernst Zimmer, a poetry-loving carpenter in Tübingen, a town near Stuttgart. 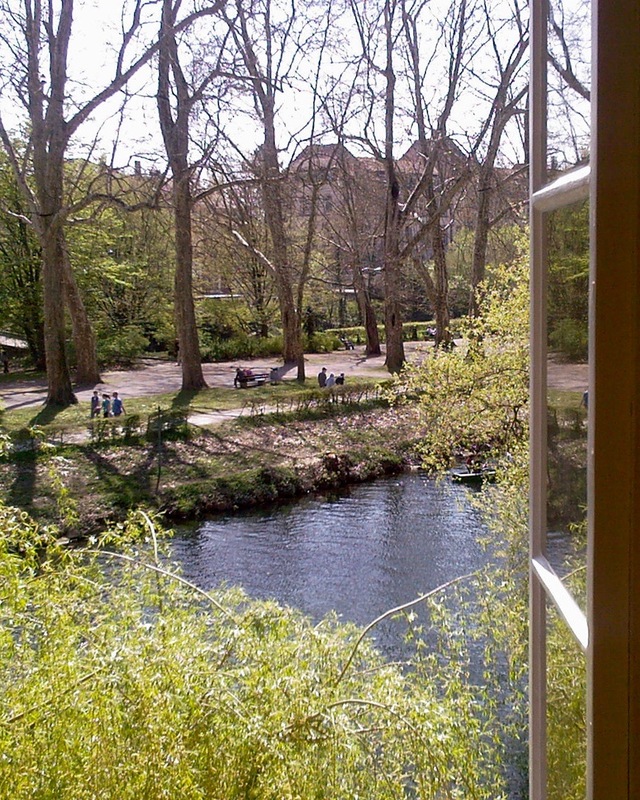 The photo above shows the view of the River Neckar from an upper floor of the Zimmer's home. AUDIO: Bruno Ganz reads "Lebenslauf"
David Constantine's translation of the opening of Hölderlin's "Bread and Wine"
Top photograph by Bettina Johl; all rights reserved.